This site has been set up to aid people with redundancy; particularly to help those who are made redundant with little notice or support. This often happens in situations such as company insolvency or administration. In such circumstances the whole redundancy process can be very stressful and you’re unlikely to get the aid you would expect from your employer. In these cases it is often the administrator who is charge, and their primary aim is to recover the maximum amount of money for the secured creditors of the business. This can mean proper employee processes are secondary and it feels like there is little thought for you and the workforce, potentially leaving you financially out of pocket. If this sounds familiar we can help, we have first-hand experience of this situation and understand how difficult it is to find all the relevant information and support you need. This site covers all aspects of redundancy, providing free advice and a useful First Aid Kit check list. Redundancy – What is it? When a company gets into financial difficulty and goes into administration things can get very tricky. This has become more common with the recession and current financial situation. Redundancy Pay – What am I entitled to? Redundancy pay is determined by your contract, what you get will vary due to your length of service and age. Statutory redundancy pay is the legal minimum paid by employers or the government. Consultation – what are the rules? When a company plans to make employees redundant they should consult with them, by law there are processes and time-scales that must be followed for group redundancies of over 20 people. Notice pay is payment for the contractual notice either you or your employer have to give to terminate employment; PILON is payment for that period without requiring you to actually work it. Protective Awards – consultation failed? Consultation must be meaningful; explaining reasons, exploring options and at least the minimum time for group redundancies. If any of this didn’t happen you may be entitled to a protective award. 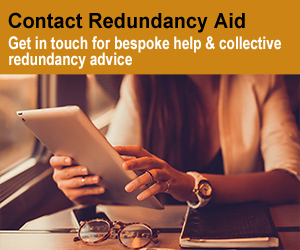 Redundancy can come as a shock and leave you feeling insecure, read on for help in coping with redundancy and turning the situation into a positive one. We can help bring everyone together & enable you to communicate to jointly work on getting what’s rightfully yours. 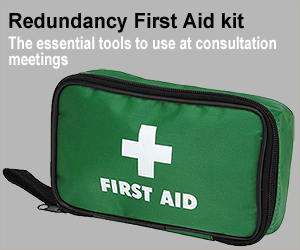 The First Aid Kit is a printable document that can help you during the redundancy process, plus help you ask and capture the right information in consultation meetings.